The loudest beep horn we sell. 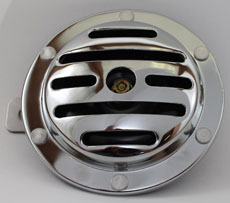 Chrome horn is 4″ in diameter, very high quality and loud! Absolutely an attention getter. Blasts out 113dp of roadrunner beep! 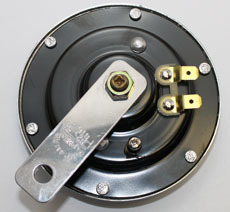 An idea is to run jumper wires from stock horn to Loud horn for a dual pitch sound or run twin Loud horns.